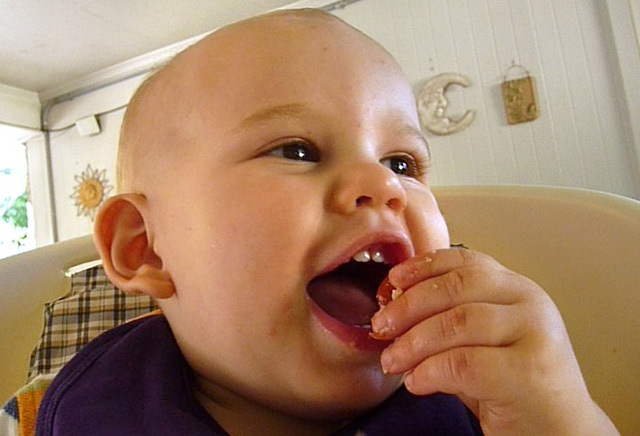 This week, it's noshing at its most primitive by a ravenous one year old. If you have been following The 99 Cent Chef's cutest online video series ever, "Lola's First Bite" (click here), then you will get a kick out of my Cajun version. 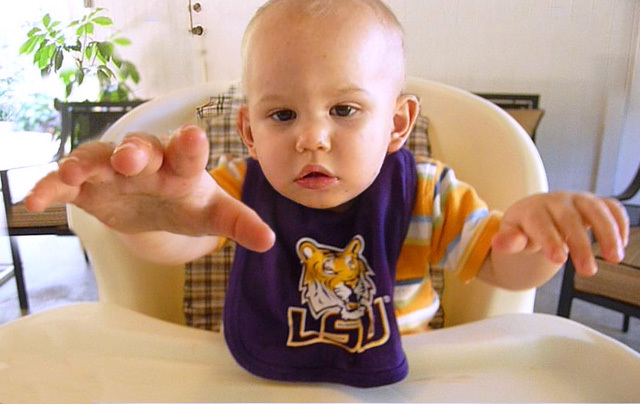 Miles is Chef Matt's son (I featured Chef Matt's delicious Shrimp & Grits video last week,) and he's a real Cajun in the making! Just watch as he attacks New Orleans-style Red Beans, then grabs a mit full of Gonzales's ("The Jambalaya Capital of the World") namesake dish: rice made with sausage and pork. This tyke is one tough cookie as he stares down an angry, snapping crawfish, and then gets the upper hand by chowing down on its tender fresh-cooked tail meat. Finally, Miles finishes with a classic Southern dessert: one of my Mom's renowned Mini-Pecan Pies. 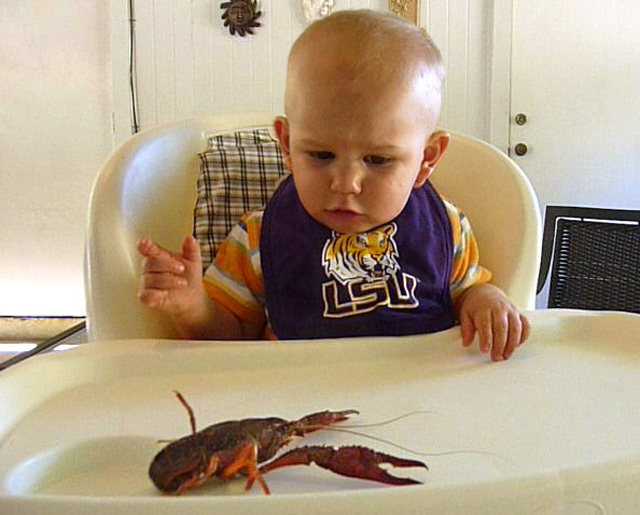 Babies and food are a match made in culinary heaven, and Mile's First Cajun Bite proves it. Play it here. The video runs 2 minutes, 25 seconds. View or embed from youtube, click here. 99 thanks to Miles, Matt and Lacee. great 99centchef..nice artical publishing by you...appreciate on you...thanks for giving detail.. So cute pics of the child.